Evangelista looks amazing – a bit airbrushed but that’s to be expected I suppose. The photo was taken by Karl Lagerfeld and I love the pop of color with the yellow glasses. My favorite part of the photo is that when I first saw the image, I thought it was an old ad from the late 80s – early 90s. There’s something very classic, almost vintage looking about this photo, yet it’s still modern. I can’t wait to see the rest of the campaign. Collars are huge for spring and I was inspired by the KARL by Karl Lagerfeld collection to make some of my own. Starting at over $100 a pop they can get pretty pricey but you can make your own for about $10 each. Be forewarned, I’m short on time and I know everyone doesn’t have or know how to use a sewing machine so I tried to find the easiest way possible to make these collars. 1. With a scissor cut the collar off the shirt – be sure to not cut off the stand – the back part of the collar that rests against your neck. Try to cut as close to the seam as possible. If you have a sewing machine you can un-stitch the collar off and then sew the seam closed. 2. 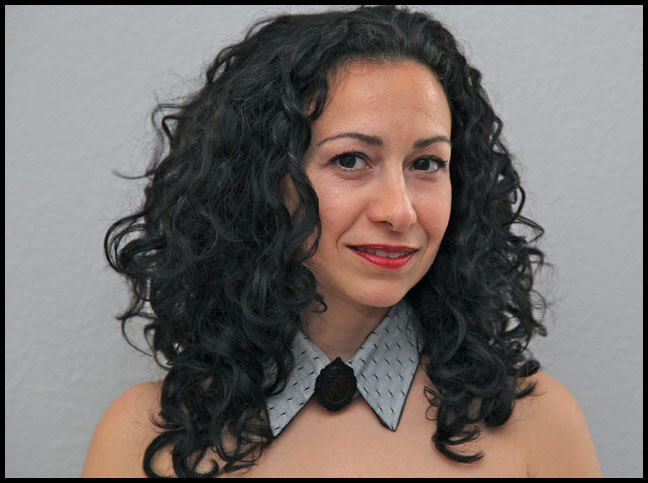 Using the collar as a pattern, cut the fabric based on the shape of your collar. Be sure to leave extra fabric on the sides where you will wrap fabric around the back of the collar. You don’t have to cover the entire underside of the collar but you can. It you opt not to then try the collar on before you cut the fabric so you are sure of the areas that are visible when worn. 3. Each brand of tape may have different instructions so go by what is listed with the product you choose. 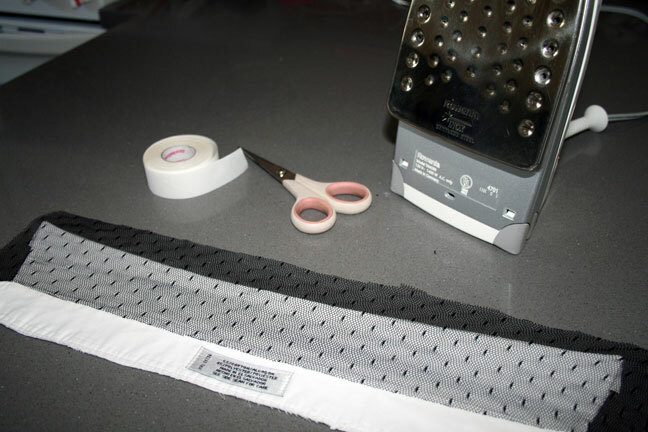 According to the tape instructions, apply the tap and fabric to the collar to all of the areas of the collar that are visible when worn. 2. If you have lots of time on your hands and are crafty with a needle and thread, the best way to apply the pearls is by sewing each one on individually. 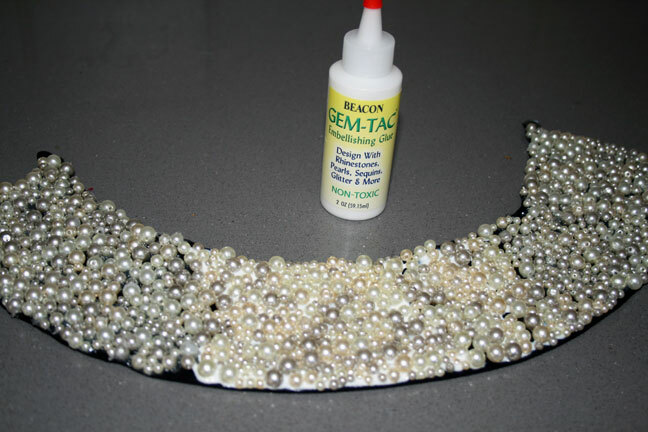 If you have no time for that, then just simply apply glue to the collar and then place the pearls on the glue. Go in small sections so the glue doesn’t start drying before you get the pearls on the collar. Let the collar dry according to the glue instructions. 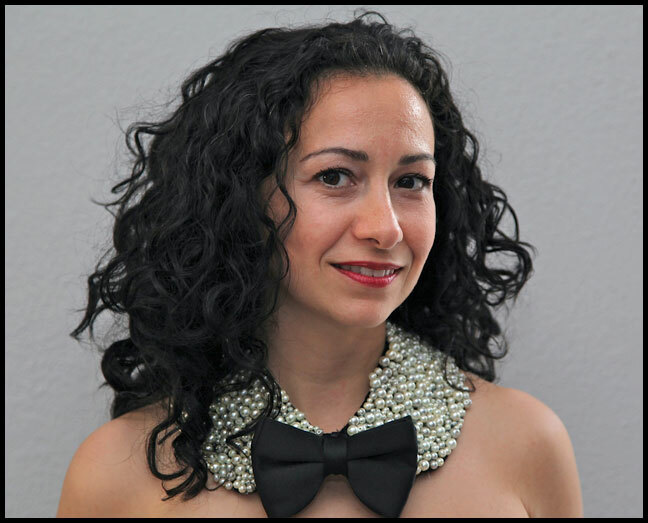 I hope you get inspired to make your own – all you have to do is choose a collar shape that you like and your favorite embellishment (beads? feathers? rhinestones? faux fur? sequins?) and go to town. Have fun getting crafty! If you’ve had access to the internet the last few months then you’ve probably had enough of the the whole Karl called Adele fat drama – I know I have. I didn’t get involved because I was actually amused at the near mass hysteria that Karl’s comments caused. Yes, what Karl said was not well though out or very nice, and yes, Adele could lose a few pounds. Is it any of our business? No. He told his team to send Adele the best the fashion house have to offer after hearing she collected bags. He said he really wanted to make it up to her so they could maybe work together in the future. He could see her fronting a campaign for Chanel Mademoiselle bags when the contract with Blake Lively ends. He’s annoyed with himself because he ended up insulting her when he meant to compliment her. He thinks she’s beautiful and calls her divine. All I have to say is that Karl Lagerfeld can call me fat any day if it means I’ll get some Chanel bags. Just sayin’. The issue includes interviews with designers that Karl Lagerfeld admires including Martin Szekely, Zaha Hadid and François Morellet, 20 cool chairs that KL selected among 140 options and his selection of gadgets. We also get a glimpse of how Uncle Karl lives – his Quai Voltaire apartment is pictured on the cover and his photos of his apartment are featured inside. In true Lagerfeld fashion, the issue lacks color and most of the items featured are black and white. I wouldn’t want it any other way. Since whatever Karl Lagerfeld touches turns to Gold, Architectural Digest is printing 150,000 copies of the magazine to meet the increased demand. If you see a copy I would buy it quickly as I’m sure they will sell out fast.